GrogHeads Interview with Designers of GMT's "A Distant Plain"
GrogHeads recently conducted an interview with the designers of A Distant Plain by GMT and wanted to share it with everyone. 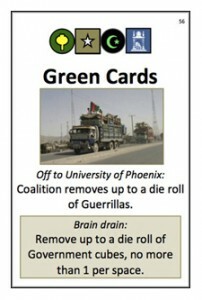 GrogHeads.com has an interview with Volko Ruhnke and Brian Train, the designers of GMT's upcoming game about Afghanistan, "A Distant Plain". Additionally, the gents have agreed to stick around and ask some questions in the forums afterwards.